- Joint is made up of the articulation between the femur and acetabulum of the os coxae. - Classified as a ball and socket. - Femoral head is the "ball" and acetabulum is the "socket"
Articular capsule secured the joint in place. It is made up of ligaments and muscles. These ligaments are most stable when the hip is in extension. 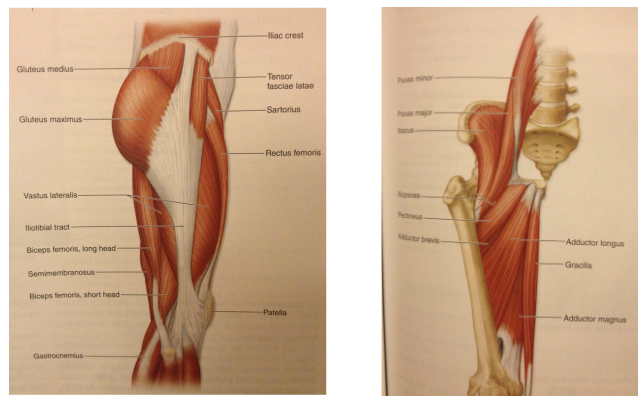 Formed by the inguinal ligament superiorly, sartorius laterally, and the adductor longus medially. The Femoral Triangle also contains lymph nodes that may become enlarged with infection or active inflammation in the lower extremity. #1: The fusion of the ilium, pubis, and ischium make up this structure.